We share more about our lives through photos, videos, GIFs, emojis and more. Traditional text messaging seems to be on its way out as mobile web messaging apps attract more users. Here are some of the most popular mobile instant message apps that people are turning to as a replacement or additional service to SMS texting. A lot of people have a Facebook account, making it the standard platform for getting in touch with people. And to make things even more convenient, you don't necessarily need to have a Facebook account to use the Messenger app. You can easily start chatting with a friend or a group of friends using multimedia-rich content or instantly call them up on mobile from within the conversation. Other advanced features such as sending and receiving payments are also available. Make audio and video calls. WhatsApp is another popular instant messaging service that allows users to chat back and forth with individuals and in groups. Acquired by Facebook for $19 million in February 2014, the app lets anyone send unlimited text, photo, audio, and video messages to their friends freely and securely. Free video calls can also be made for face-to-face conversations. WeChat promises free, crystal clear voice and video calls along with individual and group instant messaging. It offers multimedia messaging, group chat and calls, sticker galleries, your own moments' photo stream and so much more. 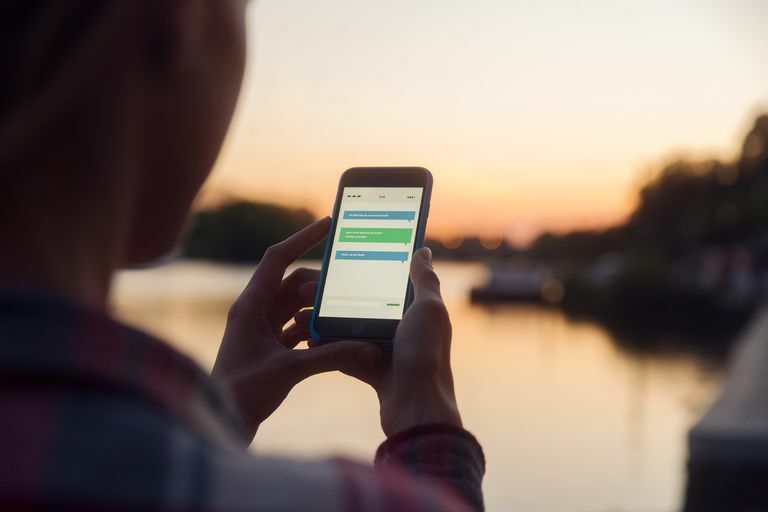 The app's unique and convenient walkie-talkie mode also lets you talk to up to 500 other friends with integrated real-time location sharing and up to nine people in video group calls. Send and receive multiple media types. Limited ability to pin chats. Fewer users than other instant messaging apps. Telegram is becoming more of a popular choice for those who want to connect from some of the most remote locations and be ensured that their data and privacy is kept super secure. You can chat with up to a thousand members in a group, send documents, store your media in the cloud and so much more. According to its website, Telegram messages are encrypted and also self-destruct (similar to Snapchat) according to a timer you can set up. It's known as an ideal alternative if speed and simplicity are what you're looking for. LINE was once considered WhatsApp's biggest competitor, offering all the various features needed for instant messaging. You can send unlimited text, images, video, and audio messages—with options for making voice and video calls as well. LINE also has its very own built-in social networking feature that allows its users to post their day-to-day activities on their timeline and comment on friends' activities. Viber is another popular messaging app that rivals many of the other ones listed above, letting you send free unlimited text and photo messages to your friends all around the world. HD video calls can be made for free as well, and groups can have up to 250 participants. With Viber, you can add fun stickers to your messages, hide chats you don't want to be visible and even use the "damage control" feature instantly delete messages you regret sending. Reportedly being phased out in 2020. Google may be known for its search engine and Gmail service, but it's got one of the simplest and most robust instant messaging apps too. With Google Hangouts, you can chat instantly either from your desktop or via your mobile device to send multimedia-rich messages. You can also hold video calls with individuals or groups of up to 100 people. Not designed for minors to use. Kik is another very popular free instant messaging app that lets you use a username to chat with others in a fun and easy way. Before Instagram had a private messaging feature of its own, most of its users actually included their Kik usernames in their bios as a way to get in touch. It's still a popular app today that offers convenient, multimedia-rich messaging for one-on-one and group conversations. You can even see when another user is typing back to you in real-time. Time limits on video length. Snapchat is a free app that lets you chat back and forth with individual friends and groups using disappearing photo or video messages. They can include optional text-based captions, filters, face lenses, geotags, emojis and more. After the recipient has opened the message and viewed it, it's automatically be deleted. As a nice alternative to sending photo and video messages, you can also start a text or video chat with any friend directly through the app for real-time communication. Better for visual interaction than conversations. No sense of urgency to respond. Most people use Instagram to share photos and videos while on the go, but Instagram Direct makes it easy and convenient to privately message individual followers or groups. Instagram Direct lets you send text messages or optional photo/video messages taken directly through the app that automatically disappear after they're viewed (similar to Snapchat). You can also view who has opened, liked, or commented on your Instagram Direct message in real-time.